LocationThis hotel is near the commercial and entertainment centre of Nashville. The Nashville School of Law, the Southern Hills Medical Center, and the American Contractors Exam Services are within close proximity. This hotel is also close to many local restaurants featuring outstanding Asian and American regional cooking which appeals to residents and visitors alike. Whether guests are in Nashville for business or pleasure there are plenty of diversions for every taste. This property is located just 8 km from Nashville Airport and a discount shuttle service to the airport is available.FacilitiesThe establishment comprises a total of 120 accommodation units. Guests of the establishment are welcomed in the lobby, which has a 24-hour reception and a 24-hour check-out service. A lift can be used to access the upper floors. Services such as a cloakroom and a safe make for a comfortable stay. Internet access and wireless internet access are available in the public areas. Gastronomic facilities include a breakfast room. A newspaper stand is also among the amenities at the establishment. Guests arriving in their own vehicles can park in the car park. Other services include room service. A shuttle service is offered.RoomsAll accommodation units feature air conditioning, central heating and a bathroom. The carpeted accommodation units feature a double bed or a king-size bed. A desk is also available. In addition, a fridge, a microwave and tea and coffee making equipment are available. An ironing set is also available to guests. 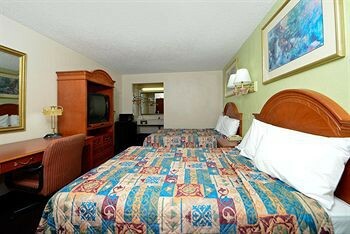 Internet access, a telephone, a TV, a radio and wireless internet access are provided for guests' convenience. Wheelchair-accessible rooms are also bookable. In the bathrooms, guests will find a shower, a bathtub, a spa bath and a hairdryer.Sports/EntertainmentSport and entertainment options are available at the establishment. The swimming pool is ideal for a refreshing dip. Sun loungers provide a great place to sunbathe. A wellness area with a solarium is available. MealsBreakfast is bookable as a board option.PaymentThe following credit cards are accepted at the establishment: American Express, VISA and MasterCard.